TLE sources understand that Liverpool midfielder Philippe Coutinho is on the verge of a £142m move to Barcelona after missing the Reds’ mid-season break to Dubai. This deal would mark the second biggest deal in football history, second only to Naymar’s move from Barca to Paris St-Germain in the Summer. Just before the January transfer window opened at the end of December 2017, Liverpool had already closed the deal for Dutchman Virgil van Dijk with a world record £75m payout for a defender. The Reds have been working on getting van Dijk to bolster their center-back position since last summer. They will hope the Dutchman slots business like into the team after agreeing a hefty paycheck. But the large fee indicates they may know there will be money to spend. The Premier League’s best-rated player Philippe Coutinho has been linked to a huge money move to Barcelona from Liverpool since last Summer, but Barcelona failed to meed Liverpool’s valuation. The Reds still want to retain Coutinho’s services but the deal for the Brazilian’s move from England to Spain is understood to be close to completion. It looks unlikely that Liverpool or the player will be able to resist the offer. The former Inter player is surely headed for Barcelona within the next few days. Coutinho has missed Liverpool’s mid-season break to Dubai, which makes the likelihood of a move even more odds-on. There are many reasons why the Reds would be interested in retaining the 25-year old Brazilian. Coutinho has been in great form in Jurgen Klopp’s best 11 in the last couple of years. It’s understood that Liverpool set a minimum asking price for Coutinho at £130m. Coutinho has a WhoScored rating of 8.03 so far this season with seven goals and six assists, and the Brazilian was quite influential in the Reds’ push for the top four finish last season. He could be crucial in Liverpool’s attempt to hold onto a hotly contested top four spot this season. Liverpool may want to retain their best player, but in recent years Barcelona is known for getting their man once they lay eyes on the target. They’ve identified Coutinho and will definitely have him in Camp Nou no matter how long the transfer takes. Perhaps Liverpool’s willingness to splash the cash early in the window reveals the writing was on the wall. The big question now is how Coutinho will fit into the Camp Nou and if he’s good enough to make Barcelona’s first eleven. Barca has changed to a 4-4-2 formation mainly due to Paulinho’s perfect form in the midfield and Ousmane Dembele’s injury. With Dembele’s return to perfect fitness, there’s definitely a spot for Coutinho at Camp Nou. The Brazilian achieved great form while playing in Klopp’s favorite 4-3-3 formation but can still match Barca’s recent style perfectly. It is also worth noting that Coutinho, given his successful six assists, can coordinate well with Messi. His 2.9 key passes per game are unmatched in the Blaugrana. Coutinho’s move to Barcelona will reduce pressure on Messi, whose key-passes per game rating of 2.6 is still unrivalled in Barcelona this season. Messi is currently Barcelona’s top scorer with 17 league goals to his name. The Argentine is expected to add more goals to his scorecard and maximize his prowess with Coutinho playing by his side. The Brazilian international’s driving runs from either out wide or deep will be a blessing to Barcelona who is keen on dominating La Liga this season. His 2.8 dribbles per league game would be second to Messi’s 5.6 in Barcelona and will surely reinforce the La Liga giant’s statistics in WhoScored dribbling strength. Unfortunately, Coutinho will be ineligible to play for Barcelona in the Champions League given that he featured for Liverpool in the championship this season. However, that is a minor setback that Barcelona can live with. With Neymar’s record-breaking transfer to PSG, Barcelona is no doubt replacing a talented Brazilian with another. Who will be better, and can Coutinho thrive in Messi’s shadow. Something his predecessor failed to do. 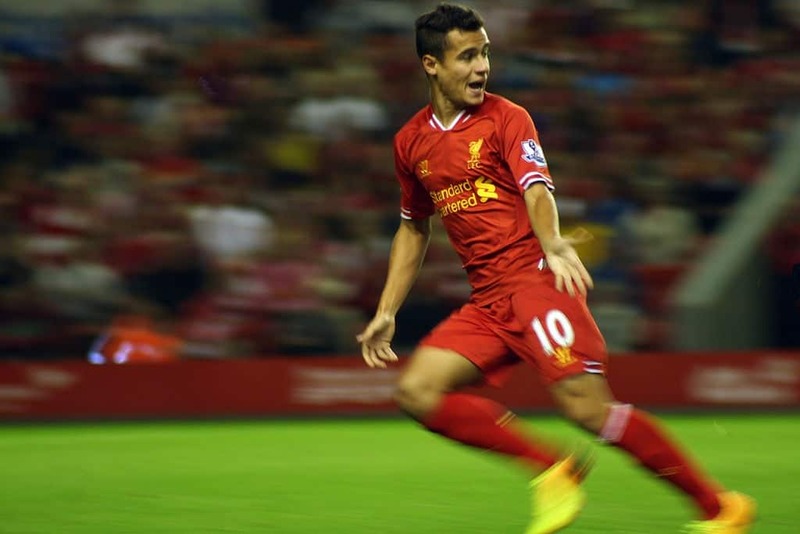 Featured image by Kevin Walsh from Bicester, England (Phillipe Coutinho) [CC BY 2.0 (http://creativecommons.org/licenses/by/2.0)], via Wikimedia Commons.